Do you want to cash in on international sales opportunities? Learn the major facets of selling your product internationally. Utilizing business case studies alongside your company strategy for growing international sales, we will build an international sales strategy. We will explore how to prepare your internal team for success, positioning sales & marketing support, trade shows, and how to grow a distributor or sales agent. At the end of the day, we will assemble an all-star panel of International Sales Professionals from KY companies who will share how they grew international sales. This regionally recognized advanced certification is designed to provide the skills to build successful international sales for global companies. Whether for the seasoned professional, or for those just beginning, building a solid sales portfolio on an international scale takes time and requires knowing the key players in the market. Other topics to be covered are: The international sales cycle; finding distributors and setting sales goals; managing key accounts; managing executive expectations; costs associated with international sales; and trade shows. 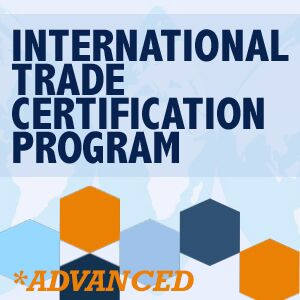 Advanced Certification is recommended for individuals who have some level of familiarity with sales, graduates of the WTC-KY International Trade Certification, or another recognized certification. Attendees are not required to have previously attended WTC-KY trade certification programs. The course is thoughtfully chosen and developed in response to requests from our international business partners, and individuals seeking strong practical and theoretical knowledge of a wide array of tactical subjects surrounding the successful execution of global commerce. *Advanced certification is an approved STEP Grant reimbursement. If you have not applied for the STEP (State Trade and Export Promotion), please visit the STEP - KY Export Initiative website for more information.